Berry Bros & Rudd has launched its spirits portfolio in Hong Kong including its own selection of whiskies, gins, and liqueurs. The spirits portfolio was unveiled this week along with four cocktails created by Hong Kong’s bar maven Antonio Lai, using some of the spirits in the portfolio such as Penny Blue VSOP, No. 3 London Dry Gin, King’s Ginger Liqueur, and the original Berry Bros. & Rudd London Dry Gin. The No. 3 London Dry Gin was launched by the UK merchant to mark the release of Kingsman: The Golden Circle. 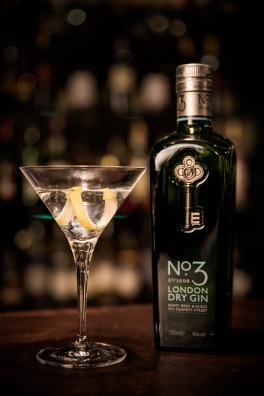 The gin is a limited-edition, higher-strength bottling of the merchant’s regular British No.3 London Dry Gin. Made with botanicals of juniper, sweet orange peel, angelica root, coriander, cardamom and grapefruit peel, the gin has an alcohol strength of 49%. King’s Ginger Liqueur was commissioned in 1903 by King Edward VII’s physician and is said to be a warming and healing tonic. Its ‘Classic Range Whiskies’, which includes a wide range of specially selected vintage single malts, have also been made available in Hong Kong in addition to the aforementioned spirits.